Ivanka Trump will meet with South Korea’s president and attend the Olympic closing ceremony, but officials downplayed speculation that she might meet with a North Korean delegation to the Winter Games. 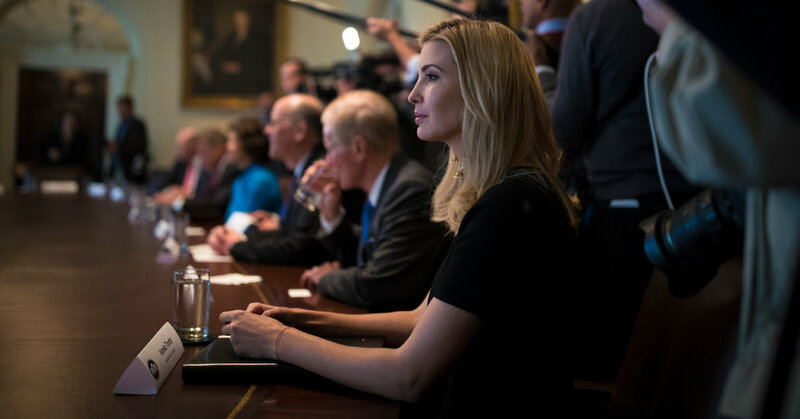 SEOUL, South Korea — President Trump’s daughter, Ivanka Trump, arrived in South Korea on Friday, starting a highly anticipated trip two weeks after North Korea’s leader sent his sister here on a mission seen as an attempt to undermine Seoul’s alliance with Washington. Ms. Trump, who holds the title of senior White House adviser, plans to have dinner with President Moon Jae-in of South Korea at the presidential Blue House in Seoul, the capital. She will then lead an American delegation to Pyeongchang, east of Seoul, where the closing ceremony of the Winter Olympics will be held on Sunday. White House officials said Ms. Trump would be cheering on American athletes at the Olympics and helping to cement Washington’s alliance with South Korea. She does not intend to meet with a North Korean delegation that will attend the closing ceremony, they said. But her presence at the event with the North Koreans is bound to generate intense interest. Ms. Trump’s trip comes two weeks after the surprise visit by Kim Yo-jong, the sister of the North Korean leader Kim Jong-un, created something of a sensation in South Korea, overshadowing Vice President Mike Pence’s trip to the Olympics at the same time. Ms. Kim met with Mr. Moon and delivered a surprise offer: her brother’s invitation to visit the North for a summit meeting.